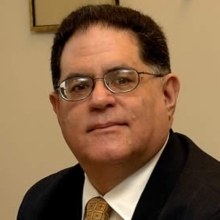 Cybersecurity expert Samuel Visner, with the MITRE Corp., has been named a “Tech Titan” by Washingtonian magazine for his leadership of the federal government’s only research and development center dedicated to cybersecurity. Visner was selected for his leadership of the National Cybersecurity FFRDC, or NFC, which aims to help businesses secure critical data and infrastructure by coming up with standard cyber practices. MITRE operates the NFC on behalf of the National Institute of Standards and Technology. In his role at the NFC, Visner oversees efforts to bring together experts from industry, government, and academia to demonstrate cyber solutions that are cost-effective, repeatable, and scalable. The FFRDC is the first of its kind dedicated to cybersecurity. Washingtonian magazine’s list of “Tech Titans” also includes executives from Uber, Apple, Amazon, Facebook, Google and Microsoft.